Lender Toolkit Welcomes Guy Clouse! We are excited to announce that Gary “Guy” Clouse has joined Lender Toolkit! Guy is a focused and strategic organized thinker with demonstrated success in Implementation and Project Management. 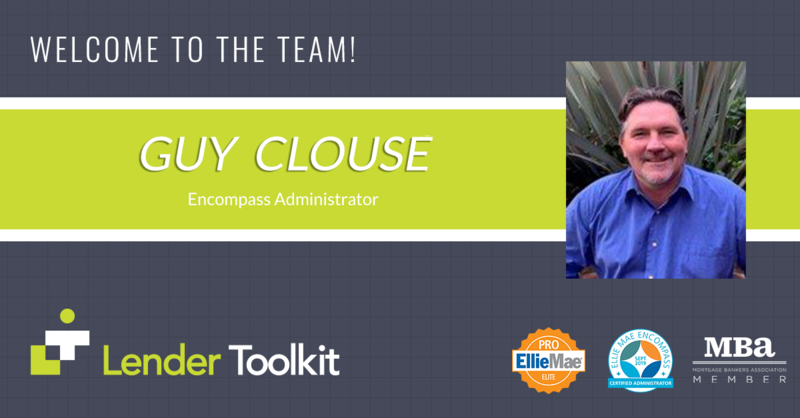 As a Certified Encompass® Administrator and computer software expertise, Guy will be a great addition to our Team. Lender Toolkit Welcomes Dianna Good!